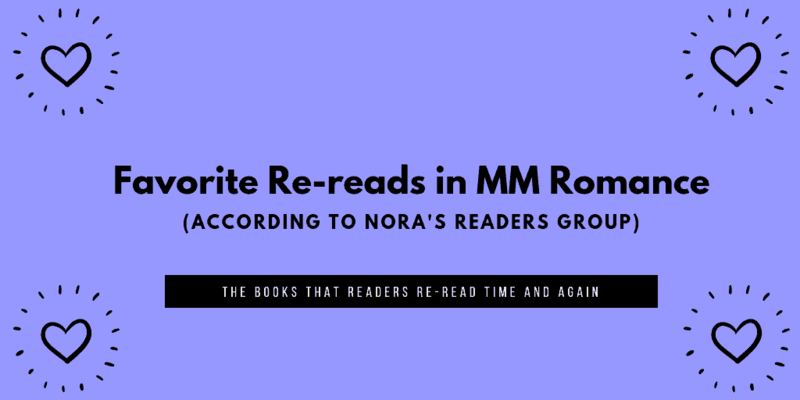 Two weeks ago, I talked about why readers reread books, showing some results from a poll I did in my FB group Nora’s Nook. After seeing how many readers reread book, I was super curious as to what their favorite rereads were in MM romance. This poll was taken in my group alone, with many, many responses. Readers could add their faves as well, and we ended up with a list of 99 book, haha. But despite that overwhelming volume, the top 10 rereads in MM romance was pretty clear. Honorable mentions were the Souls of Chicago series by Annabella Michaels, the Unbreakable Bonds series by Jocelyn Drake and Ronda Elliott, the Nothing Special Series by A.E. Via and other series by Sloane Kennedy and Aimee Nicole Walker. Now, here’s what’s interesting about this list: I asked for favorite rereads, but readers all voted for series in the top 50 at least. It’s only in the second half of the poll that individual books start popping up. If nothing else, this shows how incredibly popular series are in this MM romance genre. A second thing I noticed is how heavily a few authors dominate, like Sloane Kennedy and Lucy Lennox. Rightly so, as both are amazing writers and their books belong to my favorites as well, but it’s amazing that both have three (!) series in this list. 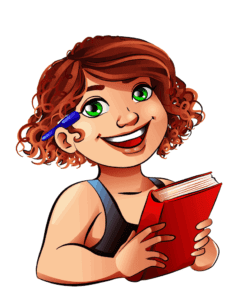 And another thing I noticed, and this may seem completely self-evident, is that this list is nearly identical to one I did six months ago when I asked my readers about their favorite gay romance series. A few are missing from that top ten, most likely because they were new series who had just gotten started (Twist of Fate series for example) or hadn’t been released at all (my Irresistible Omegas series). Also, this poll was done on my group, so obviously these readers love my books. I’m sure if the poll had been done in another group, the results would have been different. They were on the list, but not in the top 10. And I agree that those books were awesome! I’ve read your No Shame series several times, as well as Patricia Logan and death and destruction, and Luna David custos security. I keep hoping for another book in the no shame world. I’m hoping to add a book to the No Shame series next year, so keep an eye out for that! I have read all, except the Barretti Security series, and love each and every one of them. I have a book in which I write down my favorite authors, titles and series along with the ratings I give each when I review them. I know all of my most loved books can’t make the top ten, since I have a lot more than 10, but it’s reassuring on a personal level that others like what I do! It’s one of the reasons why I love lists like this, because you get tips for new books and you get to share a love for books you have in common with others!